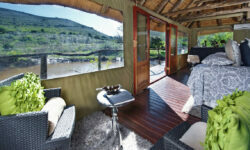 “By-ye-ti” or, “I salute you”, is the warm African greeting carried on the fresh valley wind at this tented paradise. 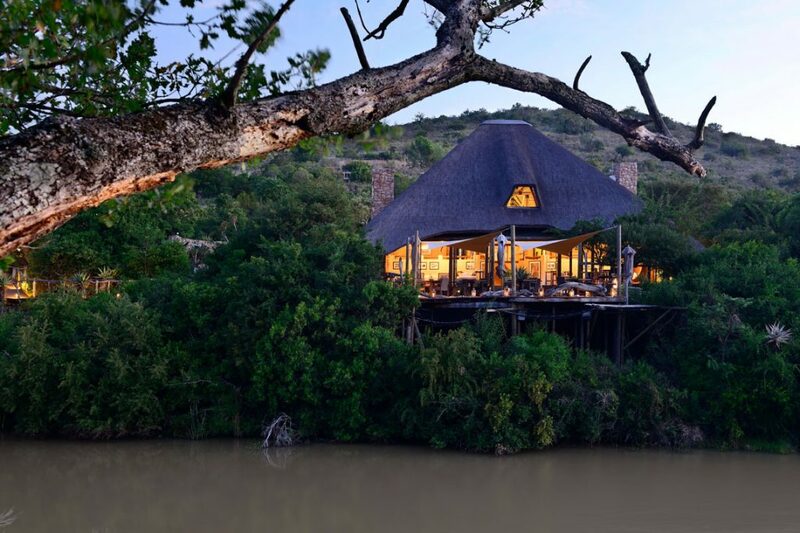 Allow nature to blanket you in the seductive tented accommodation of Bayethe Lodge. The tents are shrouded by the rich vegetation, providing privacy and a feeling of seclusion. 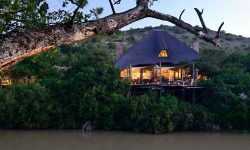 The lodge boasts unique bush Relaxation Retreat, gift boutique, lounge area with TV, in and outdoor dining facilities, outdoor deck with swimming pool, business desk with internet access. Wi- connection available at the main building. All 12 detached tents can sleep a maximum of 2 adults per tent. The Superior Tents comprise of 2 King bedded Superior Tents, 1 Twin bedded Superior Tent and the Luxury Tents, 3 King bedded Luxury Tents, 6 Twin bedded Luxury Tents. 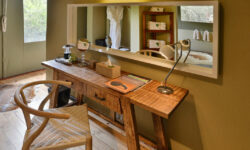 En-suite bathroom with indoor bath and outdoor shower TV with selected channels, Hammock, Fireplace and Private minibar. The Bayethe Luxury have 6 tents (twin bedded) have indoor baths with outdoor shower and 3 tents (king bedded) have indoor spa baths with indoor showers ,Comfort cooling/heating, Tea and coffee making facilities, Hairdryer, Electronic safe, Fitted international adaptors, International dial telephone, Plunge pool, Electric blankets, Private minibar.